The 500 billion Yen (approx. 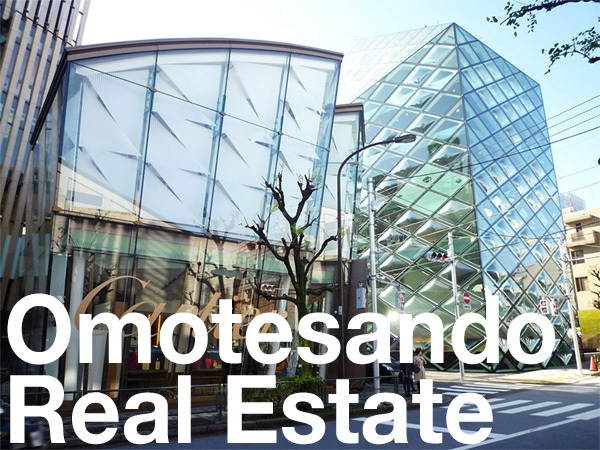 4.4 billion USD) Shinagawa Development Project includes several high-rise buildings between 164 ~ 173 meters tall, including a 45-storey, 860-unit apartment building that will include approximately 200 rental apartments geared towards foreigners along with an international school. 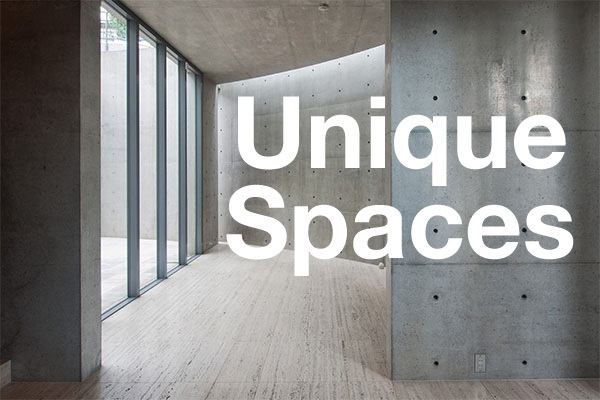 Apartments will range in size from 50 ~ 200 sqm (538 ~ 2,152 sq.ft). 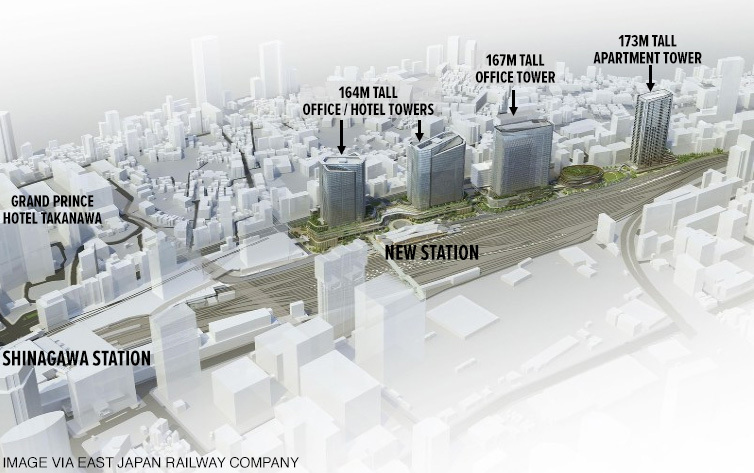 There will also be a commercial tower with plans to attract an internationally-branded 200-room hotel, a 5,000 sqm conference hall and 8,000 sqm exhibition center. Construction is scheduled to start in 2019 with completion by 2024. 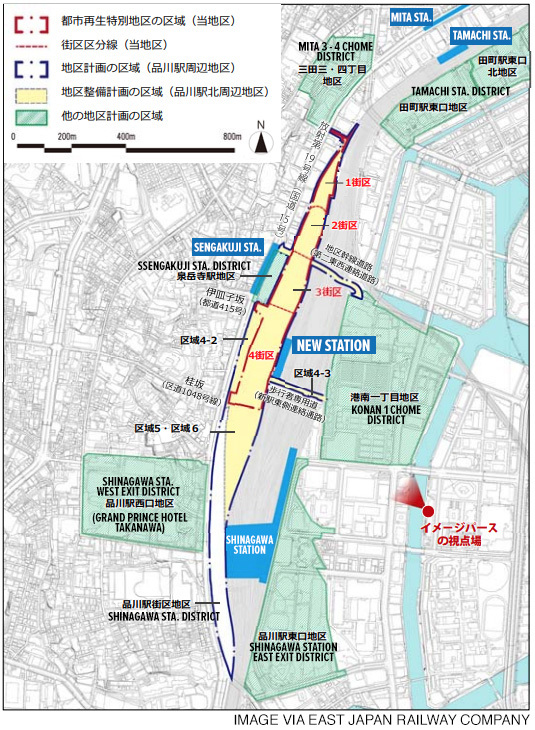 The new station, which has yet to be named, will be connected to the Shinagawa Development Project by a pedestrian deck. The yet-to-be-named new station is tentatively scheduled to open in spring of 2020. The Sankei Shimbun, September 25, 2018. East Japan Railway Company News Release, September 25, 2018.